What's going on with that radio? Western horror, Eastern eyes. That was what made Silent Hill memorable for a generation. It was visceral and relentless, oppressive and paranoid, and underlined with a tragic tale that hadn’t been seen on the normally escapist PlayStation back catalogue before, or at least beyond Japanese shores. Whereas Resident Evil popped with primary, comic book colours, Silent Hill opted for a muted palette. All rotting wood, dirty white wash, dark and dying greens, conformist blues, and pale stone; only bursting life when it’s nothing but rust and blood. The sequel might be the de facto template for an entire franchise, but it’s easy to forget how the world – a warped and broken reflection of small-town America – was already there, like it always had been, ready to take us into the unknown. And if we wanted to survive, we had to face and endure the hard truth behind closed doors. 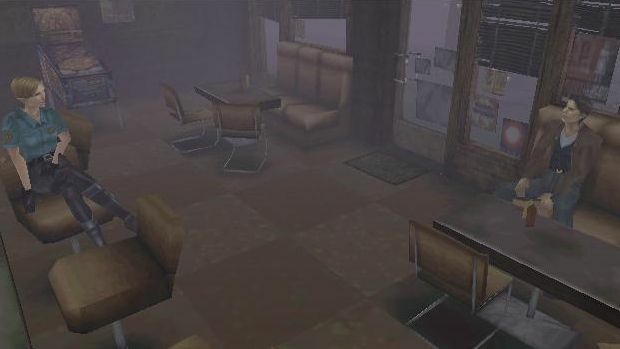 Silent Hill was as much about crumbling economics as it was about night cries and picket fences. Much like Resident Evil’s Raccoon City, the dilapidated lakeside town was undone by greed. 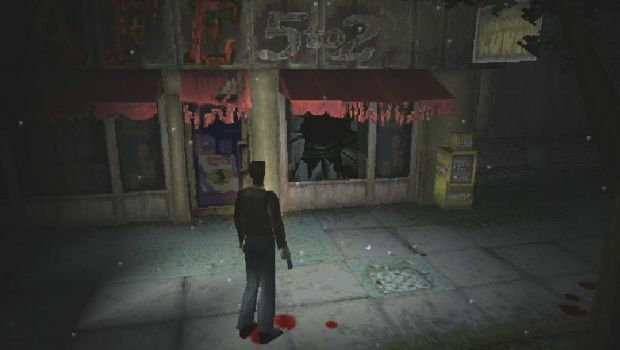 America losing its values to modernisation was a recurring theme in survival horror. It was a warning from those whom had lost their own traditions to capitalist growth, not that far removed from the J-Horror zeitgeist at the time. But more often than not, Silent Hill takes its inspiration from days gone by. Old Silent Hill's influences are worn on street names and ledgers, from Stephen King to Sonic Youth to Psycho. Even the intro pops to the sounds of vinyl, its theme song in equal parts Eastern tremolo and Western twang. These influences come together to create small-town America on the slide, full of “mom & pop” stores and tight-knit suburban mazes. But rather than a tourist, you’re a trespasser. Horror in all its forms has this element of invasion. Here, Harry Mason breaks into homes, schools, and hospitals, as he searches for his missing daughter. Though the overall plot ends up becoming more about the Otherworld, his parental fears are always at the forefront. Essentially, it's not Harry's story, but Alessa Gilesspie's. As the player, and as Mason, we're the outsiders looking in. Perception is the key to the story and scares. Memories are skewered to point where friendly faces are misjudged and emotional attachments lead to narrow-minded decisions. Harry falls through the layers of reality, like the waking waves of a bad dream, and sees the town for what it really is. The Otherworld is an abstract place, clearly a concept that reflects its tortured conduit. What could’ve possibly been a new paradise takes a horrific form because of Alessa's abuse and lack of care by her mother, Dahlia Gilesspie, and Dr. Michael Kaufmann. Later games would force the perspective onto the main protagonist, and at times would suffer for it, but few would capture that “traveller in a foreign land” feel of their predecessor. It's because of the Otherworld that Silent Hill is relentless and oppressive. It constantly toys with the audience, waiting to take shape, and gradually stripping away the safety nets. Harry is shown to be extremely vulnerable, early on. He stumbles off steps, puts out his hands as he crashes into walls, has to catch his breath, and is a terrible shot. Our first contact with the Otherworld ends in seemingly death. It’s a far cry from the shrug-it-off antics of S.T.A.R.S. or Edward Carnby P.I. 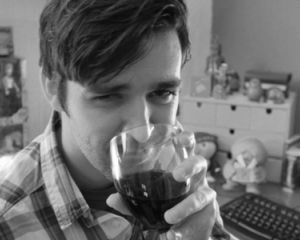 Every attempt is made to obfuscate the audience, either by claustrophobic gaze, location, sounds, or virtual threat. Radio static is both friend and foe; warning us of monsters beyond the flashlight's reach and ramping up the tension just by letting us know that something's there. Ominous, hollow synths give way to industrial noise, punishing and overbearing. Akira Yamaoka’s soundtrack is comparatively brutal to his later work, the kind of unsettling cacophony that would give a pre-Grammy winner John Congleton nightmares. Even at its most calm in the Fog World, the music still sets your teeth on edge. And yet, by the final act, where reality is in actuality nothingness, Silent Hill does an amazing job of drawing sympathy out of horrific circumstances. 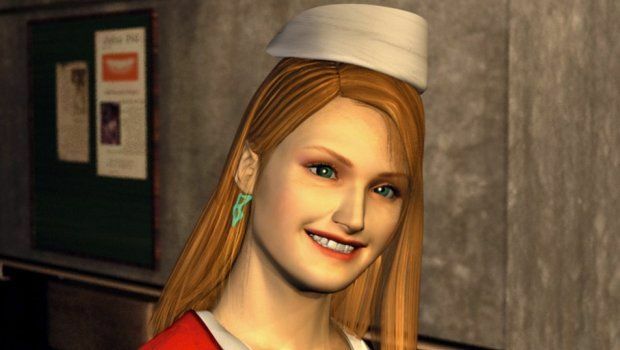 To many, Lisa Garland is the human face of Silent Hill (both town and title), and our perception of her stems from Alessa’s own memories. She’s seen as this kind and selfless nurse that only wants to help, but as we delve deeper, endure and learn, we discover what lies beneath. The bright smile, the homely uniform, and her position of warmth and care, are all her “picket fences.” By the end, we find out Lisa was a drug addict, terrified of her only patient. Through Harry, she finds the strength to push onwards, only to realise her own fate was already set in stone. Truth shatters the façade, breaks down her body, and we’re confronted with yet another disturbing subject of horror. For Harry, it's too much and he runs away. But for once, instead of the oppressive percussion of Yamaoka’s themes, we’re treated to the melancholic Not Tomorrow. These were people, not monsters. In a time of hi-five heroics, Silent Hill offered no such compliments. The best ending closes on a bittersweet note. The town is still lost to the Otherworld, though probably not as powerful as it once was, and Harry doesn't quite get his daughter back. In a shot mirroring the intro, and with his cop friend, Cybil Bennett, standing in for his deceased wife, there's the nagging suspicion that for all we've done, it might just happen again. Sure, we saved a young girl's soul, but we didn't really win anything. Only lessons and traditions were learned. Maybe that was the point, considering the start of this article. As a game, the first and only PSX release has undoubtedly aged in the last 16 years. But much like the low-budget horror movies and low-fi recordings it emulated, Silent Hill overcame handicap through inventiveness. The Otherworld, the town, the storytelling, they were all informed by thinking outside the box. Everything we know about Silent Hill – every fan theory, every femme fatale characteristic, run-down aesthetic, social commentary, urban quest, childhood memory, occultist lore, and personal demon – stems from this very title. 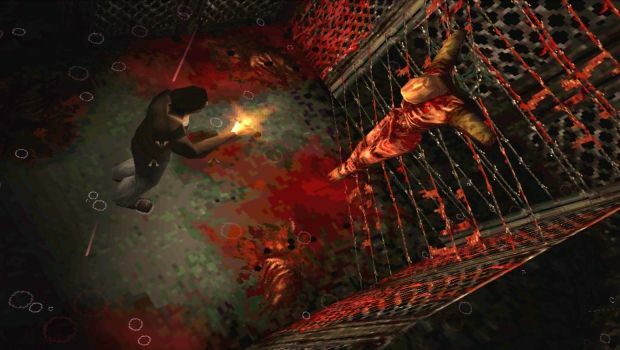 So it might be a little frayed around the edges, and certain conveyances are needlessly obscure, but for a mainstream horror game that was intended, quite cynically by Konami remember, to chase after that sweet Resident Evil success, it really was a very unique and artistic beast. It's still wonderful to think how something like that could be produced by such a small group of rag-tag developers, left alone to their own devices in a fairly corporate environment.